Kareena Kapoor is not just an impressive actress but is also conscious about maintaining her fitness. The actress is often in news about her fitness she maintains for her films. The Bollywood actress was snapped at the gym in Mumbai on May 2, 2018. 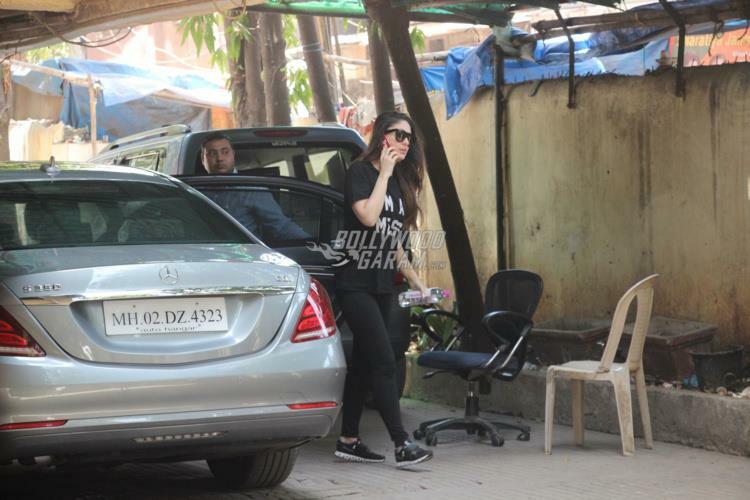 Kareena, who is currently preparing for her upcoming release Veere Di Wedding, was seen in a black t-shirt and black yoga pants. The Jab We Met actress has been regular to her gym workout schedules soon after she gave birth to son Taimur Ali Khan. Kareena, during the trailer launch of Veere Di Wedding had flaunted her toned abs and looked great in a royal blue outfit. The official trailer of Veere Di Wedding has shown a promising Kareena Kapoor at her best. The film also stars Sonam Kapoor, Swara Bhaskar and Shikha Talsania. Veere Di Wedding is directed by Shashanka Ghosh and will be released in theatres on June 1, 2018.